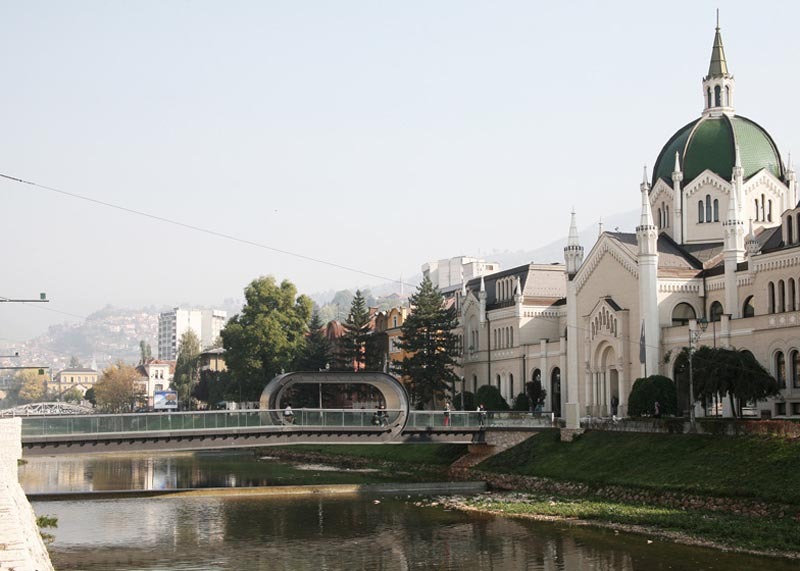 The recently completed Festina Lente pedestrian bridge at the Academy of Fine Arts in Sarajevo was designed by three industrial design students in response to a competition five years ago. Adnan Alagic, Bojan Kanlic and Amila Hrustic won the competition with their entry. 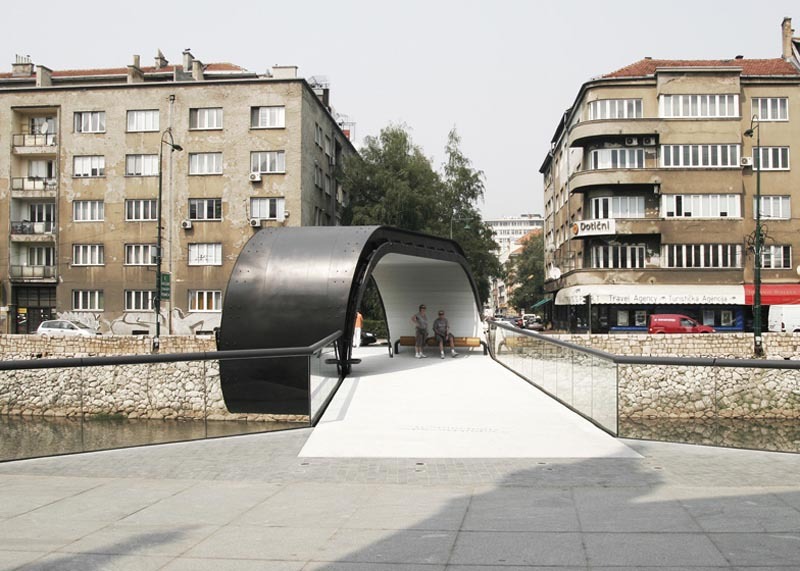 The looping bridge spans 38 meters over the Miljacka River with the central loop serving as a shelter that includes a bench. The name of the bridge, Festina Lente, means “make haste, slowly” in Latin. The bridge acts as a symbolic gate between the secular and spiritual, being that the academy was formerly a church. This entry was posted in Architecture, Industrial Design, Stuff We Like. Bookmark the permalink.